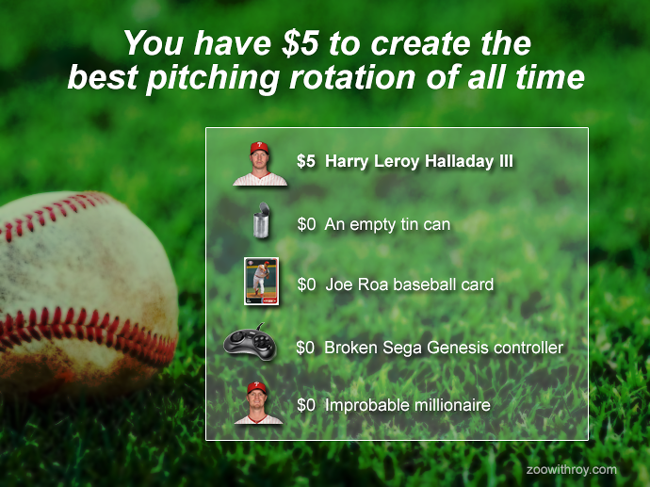 CAN YOU GREAT THE GREATEST ROTATION OF ALL TIME?! Make your selections and feel free to post them in the comments or share this with all your friends on Twitter or whatever! It's fun for the whole family, or just to kill 10 minutes in your otherwise soul-crushing workday! How is Wilson Valdez not in that rotation? Also, I want Cliff Lee as my PH.